Something light, feminine and kind. Timeless and elegant with a bit of flirt. These dresses are made in limited quantity so choose your favourite color today! 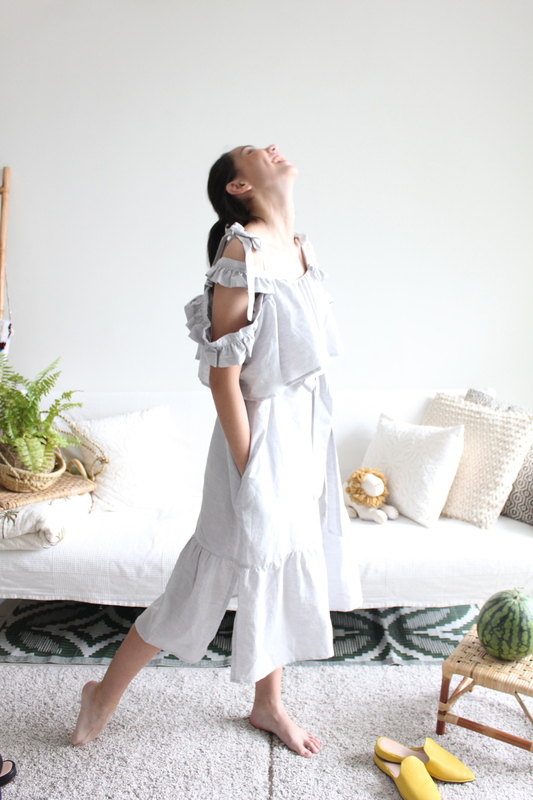 Linen are made from flax plant and are laborious to manufacture, it's fibre is strong, absorbent and dries quickly in other words, perfect for our tropical weather. Ruffles that fall at the side of the shoulder. Slit at the side of dress. Care: Handwash separately in cold water use softener to decrease linens natural wrinkle tendencies , line dry and hot iron / steam iron.